It's true. Commercial real estate is making a comeback and as it does, many buyers are interested in expanding their various businesses by looking at properties currently on the market. One of the first things a growing business looks for is warehouse space. It's perfect for storage or creation and production of goods. Many people see use for warehouses including: manufacturers, importers, exporters, wholesalers, transport businesses and many more. 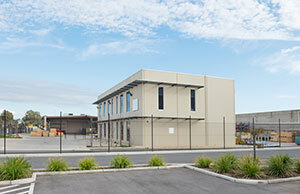 Warehouses are generally pretty plain buildings located in industrial areas. Many of them have loading docks for loading and unloading goods from trucks. Does your company have a growth strategy? Does purchasing real estate fit into that or could leasing be a better idea? What is the primary purpose for the property? To grow the business or to build the owner's retirement nest egg? Or is it both? What is the current market for the property being purchased? Is it over priced for that market? Are there any current or anticipated limitations on the use of the property? What are the pros and cons of the property? What are the financing options available for the property? How will the property be sold in the future? ( This last one just may be the most important question to ask). Considering these questions, should put you on the road to successfully finding a great warehouse. Of course, it's a very good idea to contact and consult with a commercial real estate agent who has the expertise and experience to help you grow your business.